Richard J. Maynes was born on October 29, 1950, in Berkeley, California, to Stan and Betty Maynes. He is one of the General Authorities of The Church of Jesus Christ of Latter-day Saints, inadvertently called “Mormons” by many people. He loves to play basketball and was the MVP for three years at his high school in Hollister, California. He attended college at Brigham Young University (BYU) and was awarded an athletic scholarship. He responded to the call to serve a Mormon mission for The Church of Jesus Christ of Latter-day Saints and put on hold his education and scholarships for two years in Uruguay and Paraguay from 1969 to 1971. The LDS Church believes that all people deserve to hear the word of God and that God loves all of His children, giving them the chance to know the fullness of His everlasting gospel and blessing them according their diligence in keeping His commandments. “And Jesus came and spake unto them, saying, All power is given unto me in heaven and in earth. Go ye therefore, and teach all nations, baptizing them in the name of the Father, and of the Son, and of the Holy Ghost.” (New Testament, Matthew 28:19). Maynes resumed school at BYU after returning from his mission. He met Nancy Purrington while working with friends at a resort in Idaho. They became very good friends and he introduced the Church and its teachings to her. After assisting in her conversion process and baptizing her into the LDS Church, they were married in the Manti Utah Temple on August 15, 1974. Maynes graduated from BYU in 1974 with a B.S. in business management and a double minor in economics and accounting. He then entered the American Graduate School of International Management (today known as the Thunderbird School of Global Management), earning an M.S. in International Management in 1976. He would go on to become president of Raymond Production Systems, Inc. and later CEO of Fountain Fresh International, a beverage company with markets in Asia and Europe. He also became co-owner of CS Wood, Inc., a Salt Lake City firm specializing in architectural building supplies. 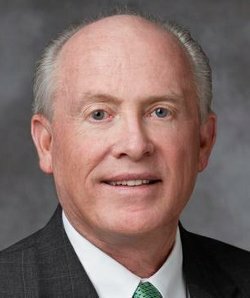 In The Church of Jesus Christ of Latter-day Saints, Richard Maynes has served as an Elders Quorum president, a counselor in two bishoprics, a stake mission president, and a stake high councilor. He also served as president of the Mexico Monterrey Mission of the LDS Church from 1989 to 1992. He was called as a general authority in 1997 and joined the Second Quorum of the Seventy. He was transferred to the First Quorum of the Seventy on March 31, 2001. On January 20, 2012, he was called to the Presidency of the Seventy, succeeding Steven E. Snow, who will be sustained as Church Historian and Recorder in October 2012. He was assigned to other responsibilities as of August 1, 2017. This page was last edited on 10 September 2017, at 16:36.